I've been thinking about how we all can CELEBRATE STEPS while increasing engagement and positivity throughout @Actifit and the Steem Blockchain. I believe I have hit upon an idea that I would like to try! On Friday's I will be making a focused effort to read as many @Actifit Activity posts as I can! I'm going to give an up-vote and comment with a digital high-five on all the posts that inspire and motivate me to MAKE EVERY DAY COUNT IN THE WAYS THAT MATTER MOST! Anyone who, in turn, up-votes and comments with a high-five ON THIS POST will be entered in a random draw for 5 Steem! That’s 5 for a high-five from my pocket to yours! I will announce who won the #HighFiveFriday draw BEFORE THE END OF THE DAY with a comment on this post so make sure you check back for that! By the way! If you would like to join us in celebrating your stepping action for the week please click over to the Actifit Discord! This is where people, like yourself, can connect with other people from every country all around the world! Drop in any time or day! Don't forget to hand out some digital High-Fives while your there! On Friday, prior to announcing the #HighFiveFriday Winner, I will be jumping into the General Voice Channel and the #High-Five-Chat on the Actifit Discord! for a quick few minuets. 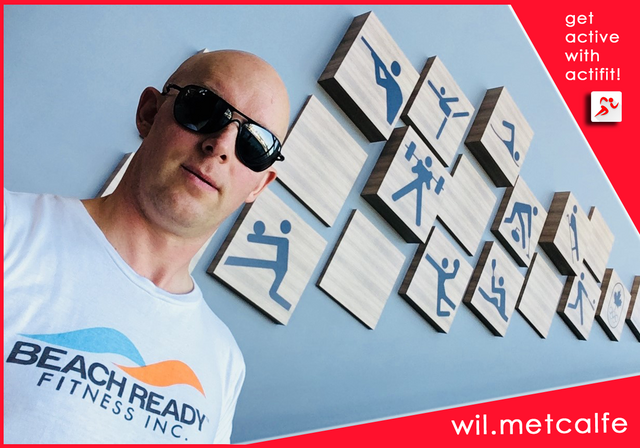 Whoever meets me there and lands me a digital High-Five during the time I'm there will be mentioned on my Saturday @Actifit post! So see you over there in less than 24 hours!!! I believe the world could use A LOT more High-Fives all around. So I would like to take this opportunity to ask the winner of this #HighFiveFriday post to pass on their High-Five by doing their own #HighFiveFriday post! 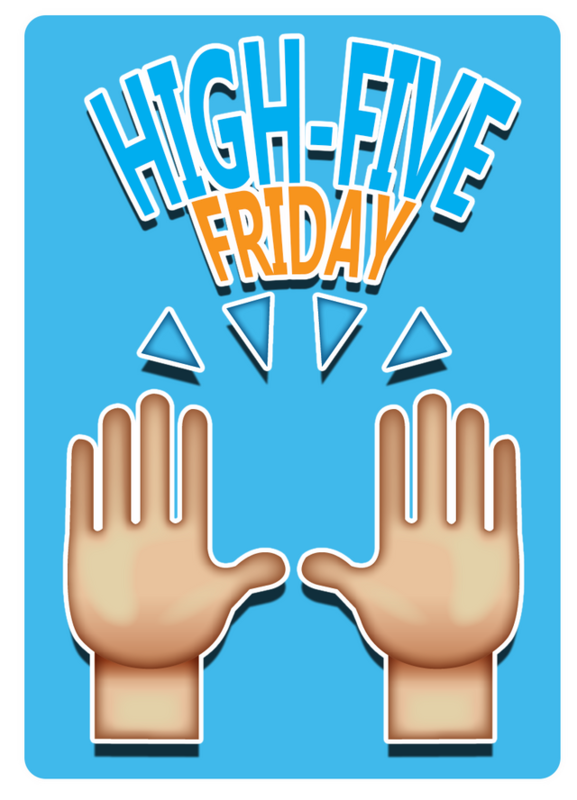 Please feel free to make use of the #HighFiveFriday Icon at the top of this post in your own post! Note: But only if you are actually doing a 5 for High-Five give-away please. Please check out these people’s latest @Actifit activity and give them a digital high-five! They are all movers and shakers within the @Actifit community so a follow and an up-vote might be a good idea as well! See you all tomorrow! High-Five! We all start life not really being able to communicate but it is communication that bonds and connects us one to each other. Communication is how we become a community. Get 10,000 steps before 10am. Take a screen shot of your @Actifit step count for proof of an #AutomaticWin. At the end of the day post your proof of activity to the Steem blockchain with the @Actifit app as you normally would. Include (along with the #Actifit hashtag) the #AutomaticWin hashtag and the screen capture proof you took when you got your 10,000 steps before 10am to your end of day post using the @Actifit app. NOTE: You may also include the #AdventureWalk, #AdventureRun, or @AdventureClimb hashtags depending on what primary activity you did to get your #AutomaticWin! We will use this information to enhance the step statistics we publish during the course of any currently running Step Challenges! It should be noted that if you use more than one of the above hashtags the first and primary one will be utilized to generate statistics. Congratulations! You have achieved an #AutomaticWin! Being intentional with your health means the rest of your day is now officially the bonus round! How sweet is that?! The more #AutomaticWin’s around the world the better all around so make sure you tell your friends all about how you made it happen this morning! ** Please note that you will need to follow each of the simple steps above to qualify for an #AutomaticWin. Failure to do this will mean that, although you may have completed plenty of steps for the day an #AutomaticWin must be confirmed by the above parameters. ***If you have further questions please feel free to click over to the #AutomaticWin hashtag where you will find a feed of other peoples posts as examples and inspiration! 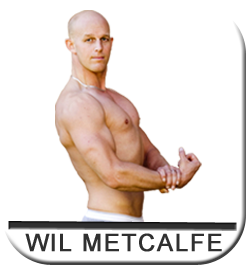 If you need more clarity you can always contact @wil.metcalfe here on SteemIt or the @Actifit Discord Channel. You have accordingly been rewarded 56.75 AFIT tokens for your effort in reaching 6191 activity, as well as your user rank and report quality! You also received an 1.69% upvote via @actifit account. Great stepping Wil💪. Wishing you an amazing high five Friday ahead 🙌. 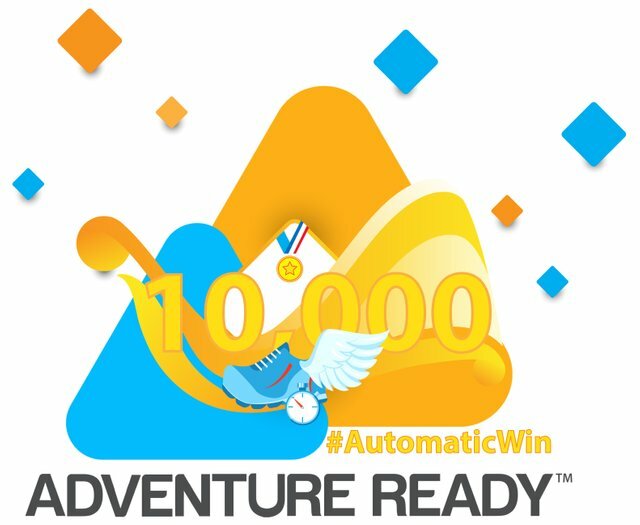 I have been busy with automaticwins most of this week and thank you for all the adventureready upvotes and support 🙏. Your welcome Eric! I love reading your (and everyone's) step stories! It's the highlight of my week! You certainly have been racking and stacking the #AutomaticWin's! Keep those coming! Your doing great! High-Five! A big fat happy highfivefriday everybody!!! hahaha! Yeahhhhhhhh! It's Friday! And not just any Friday! High-Five! Hi @bluengel! You will be happy to know... you are this week’s #HighFiveFriday winner! Congratulations and THANK YOU for all the support you given me over the last couple months! Keep on with the AMAZING stepping my friend! Happy #highfivefriday , another super packed @actifit show tonight as well. I’m still slacking on the steps, working on it though.